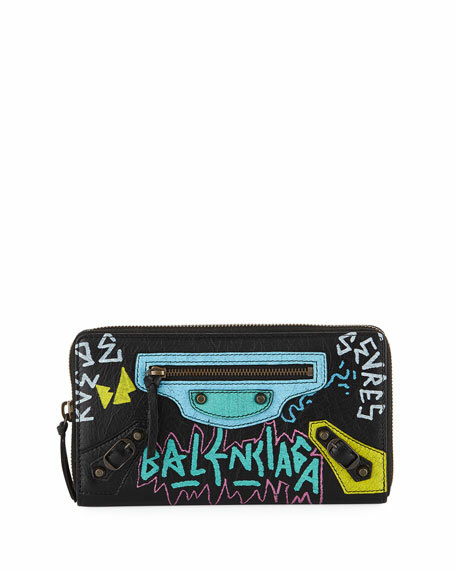 Balenciaga continental wallet in soft grained graffiti-printed lambskin. Signature hardware including stud and buckle detail. 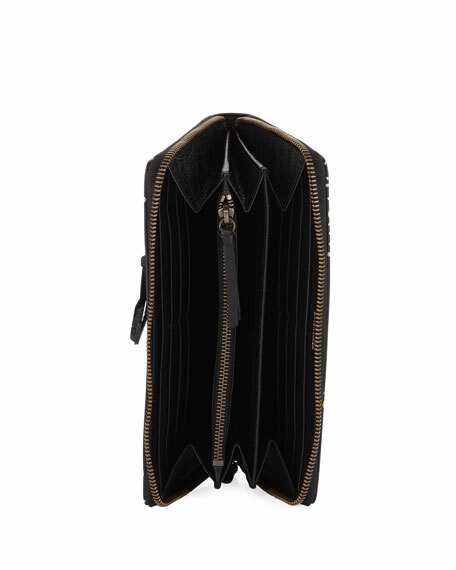 Divided interior; 12 card slots; one zip pocket. 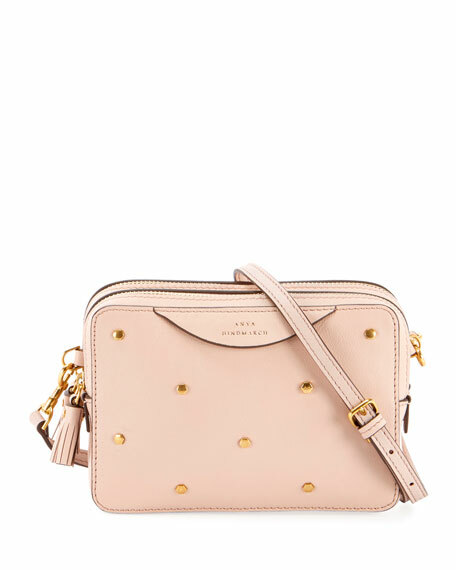 4"H x 7.5"W x 1"D.
Anya Hindmarch leather crossbody wallet with hexagon stud trim. Removable, adjustable shoulder strap. Double zip top with tassel pulls. Exterior, logo at center front. Imported. 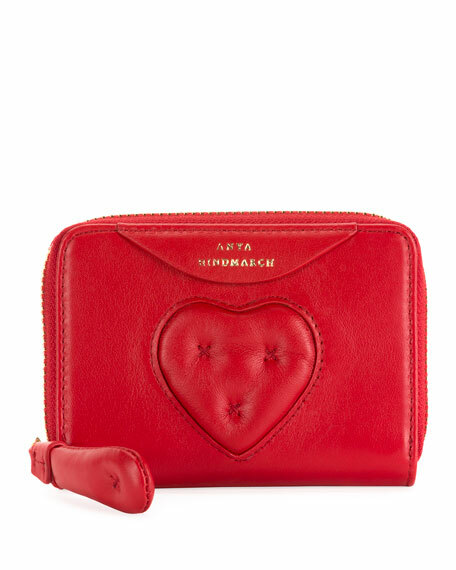 Anya Hindmarch circus leather wallet with quilted heart detail at center front. Zip-around top closure with padded pull. Embossed logo at top center front. Divided interior; multiple card slots. 3.2"H x 4.3"W x 0.8"D. "Chubby" is imported. 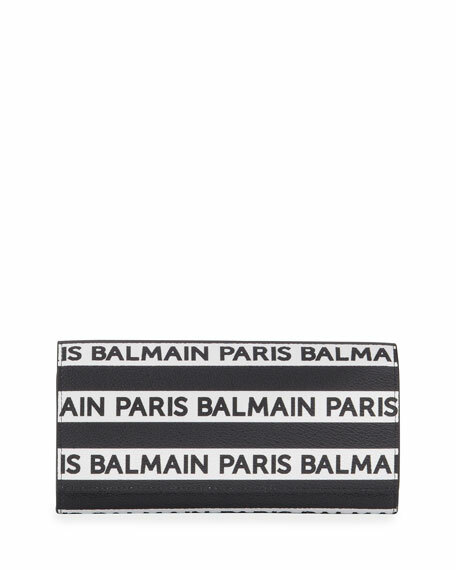 Balmain pebbled leather wallet bag with silvertone hardware. Removable chain shoulder strap, 20" drop. Flap top with snap closure. Exterior, allover logo pattern. Interior, leather lining. Zip pocket, card slots. 4"H x 8"W x 1"D. Made in Italy. 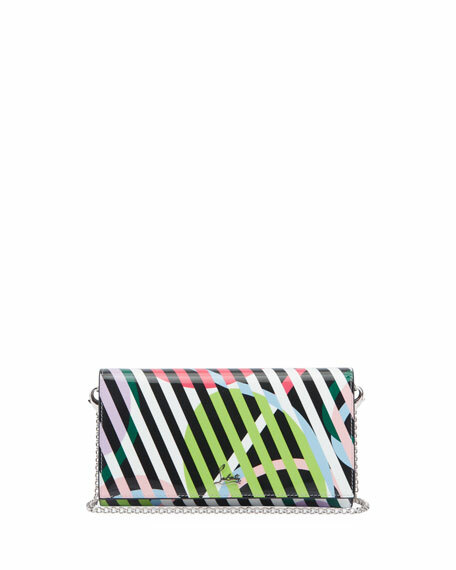 Christian Louboutin in pattern striped leather wallet. Removable chain shoulder strap, 20" drop. Flap top with snap-tab closure. Interior, zip compartment. Six card slots; signature red lining. 3.9"H x 7.5"W x 1.6"D. Made in Italy.